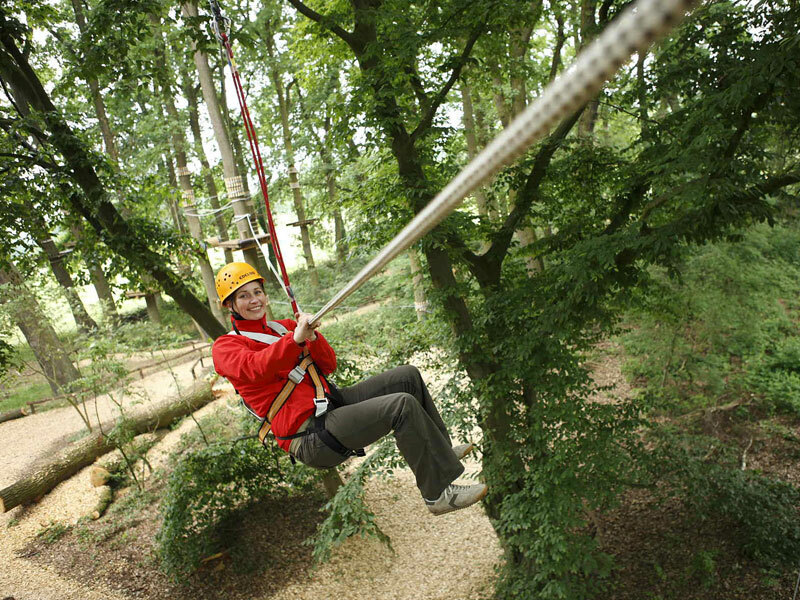 In a small piece of forest adjacent to the youth hostel in Mardorf, the Adventure Park "SeaTree" of Schattenspringer GmbH can be found, offering climbing fun for the whole family. 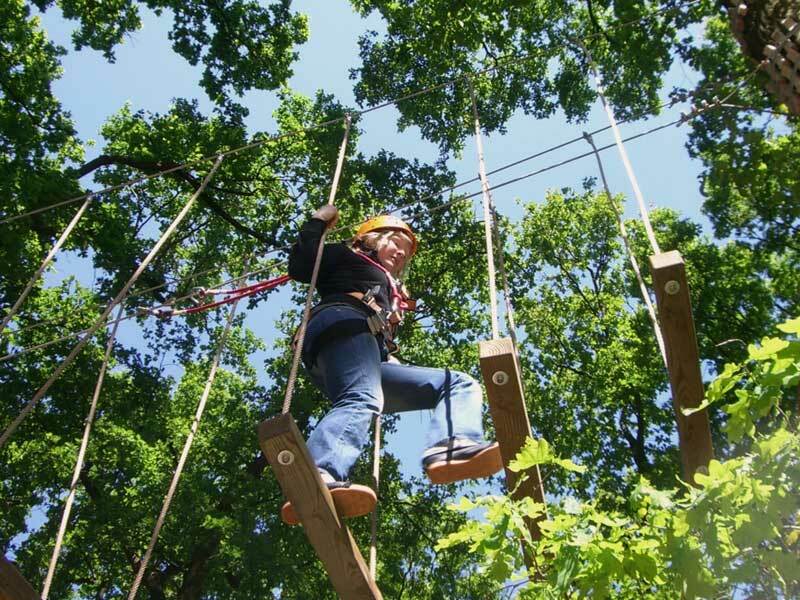 Here we installed three parcours with different levels of difficulty passing from tree to tree. 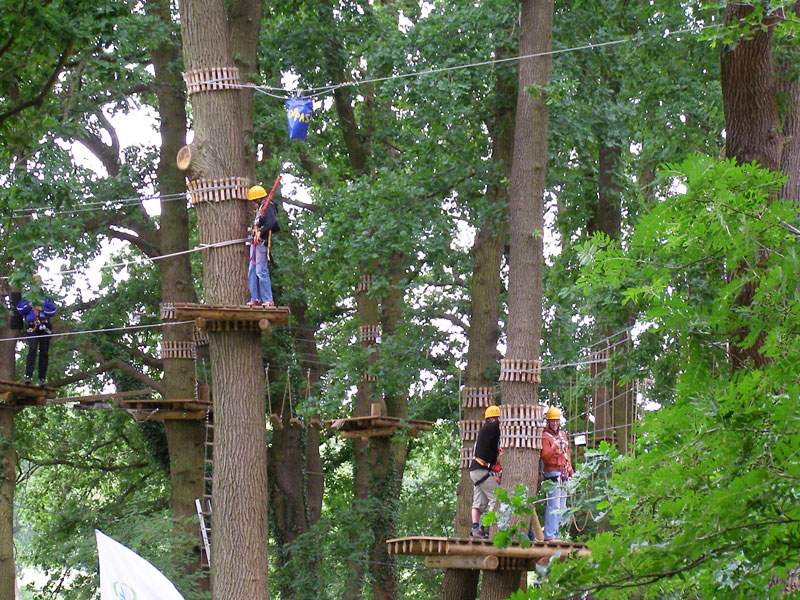 A total of 27 climbing elements including three Flying foxes offer fun and activity in the midst of nature. Children as young as 8yrs old can climb without the company of adults, because using the communicating safety-system Smart Belay (Edelrid), prevents the participant from inadvertently unhanging both carabiners at the same time. 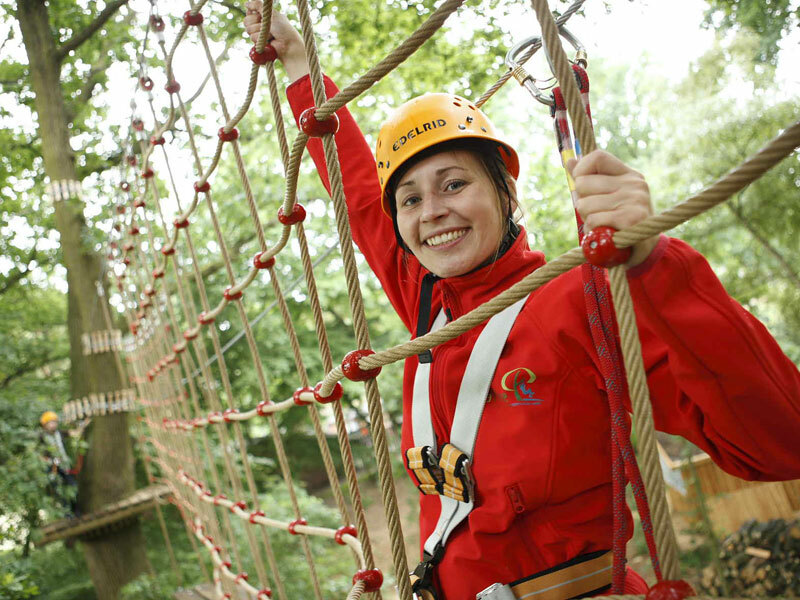 The team course offers school classes, associations and companies the possibility to prove theirs Able of team. Mastering four elements succeeds only together. The participants here are protected by the climbing partner or the whole team of the ground from (Toprope).